Marcelo Bielsa’s idea of the optimal squad boils down to quality over quantity and it was he who told Leeds United that there were 15 players they could do without this season. Bielsa is keeping the body count to a minimum at Thorp Arch, trusting in the durability of his select core. Existing like that in the Championship depends on certain levels of discipline and fitness, two factors which let Leeds down last season. 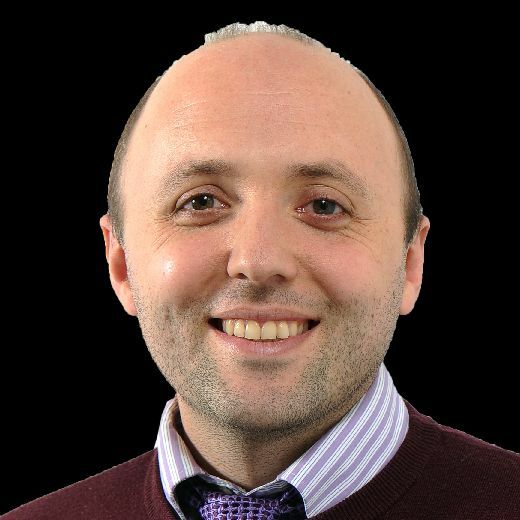 The job of eradicating the recklessness which yielded eight red cards falls to Bielsa alone but the physical care of United’s squad is in the hands of Rob Price, the club’s head of medicine and performance. Price held the same position at Hull City, the team he left in June to take up a newly-created role at Elland Road. Leeds have countless staff at every level of the game devoted to physiotherapy but they asked Price to oversee the entire structure and maximise the standards of rehabilitation and conditioning. At Hull he had a reputation for the high quality of his rehab process. Price oversaw Robert Snodgrass’ recovery from complex surgery carried out on a horrible injury in which the former Leeds winger dislocated a knee cap and damaged multiple ligaments. “The way they train you back up is unbelievable,” Snodgrass said of Hull’s physio staff. Price had worked previously for the Football Association and with Rafael Benitez at Liverpool before moving to Hull in 2012. In all, he has been in English bootrooms for the past 17 years. “My whole thing is ‘can we provide the best amount of care for the players?’” Price told the YEP. “The more we have players available and on the pitch, the more it’s going to help the team be successful. “But also, can we push boundaries? Can we get players back fitter and can we get players back faster? Can we get them to be more robust this season to challenge in the Championship? “There’s always a balance in the return of any player in getting them back quickly and getting them back so that injuries don’t reoccur but I’m proud of some of the stats in my career, in departments I’ve been involved in. As sports science has evolved the people behind it have changed too. A fortnight ago, after two years of study, Price graduated with a masters degree in sporting directorship at Manchester Metropolitan University. He had no interest in becoming a sporting director, the job held by Victor Orta at Leeds, but sought to improve his leadership skills, understand the needs of a sporting director better and expose himself to the workings of other sports. “Lots of people from lots of different sports were on the course, from equestrian and swimming to rugby,” Price said. “We visited these different places and all these sports to bring in the best ideas and practice into what we do. “I’ve spent the last few years trying to develop my management style and myself as more of a leader, as opposed to the medical qualifications I’ve got. At a football club it’s not just about working one on one. I manage a group of people and the medical department at Leeds isn’t just me. It’s lots and lots of people that work behind the scenes, with the first team, the academy and right down to the kids just coming in. Tears and consoling handshakes at Brentford. 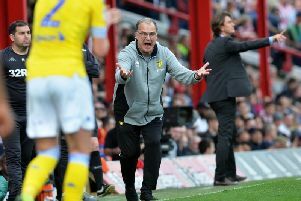 So how does Marcelo Bielsa lift deflated Leeds United? “You’re dealing with individuals, you’re dealing with players with different needs and personality styles which you’re trying to adapt to. And these days you’ve got to report upwards to the sporting director, the chief executive and the owner about what’s going on. Your management and communication skills are important. Professional clubs are awash with tools for analysis: GPS trackers, heart-rate monitors, performance software and constant measurements of weight and body fat. Impact injuries are difficult to pre-empt but attention is given to guarding against and reducing soft-tissue damage, the type of injury a club can control. There is, seemingly, no end to the innovation despite the many advances in performance. “There’s masses of ground to go yet,” Price said. “There are a lot of innovation groups and I’m part of a few in the UK where we meet and discuss things. You see what goes on in UK athletics and especially British Cycling. “Their (British Cycling’s) innovation department have tried to push things forward and there are little parts of that we try to bring in. “In the last 10 years the amount of sprints and high-speed activity that take part in a game, the accelerations and decelerations, the load that goes through the body, it’s all increased by a great amount. The players are actually a different athlete to what they were 10 years ago so taking care of those athletes means preparing them well to be exposed to it all. “What you find now is that players are really professional. A lot of them take such good care of themselves. Bielsa needs reliability on that front and for all the Argentinian’s profile and expertise, many hands will shape the season ahead. Leeds’ former head physiotherapist, Steve Megson, resigned shortly after Price arrived and has been replaced by his assistant, Henry McStay. Fitness coach Ruben Crespo followed Price from Hull to Elland Road. Price has the authority, and also the responsibility, to oversee the maintenance of the squad beneath Bielsa and in that context, few roles seem more crucial. “It’s a long, long way from the most important job at the club,” Price said. “I’m just one of the people in the background and this might be the last time you ever hear from me.